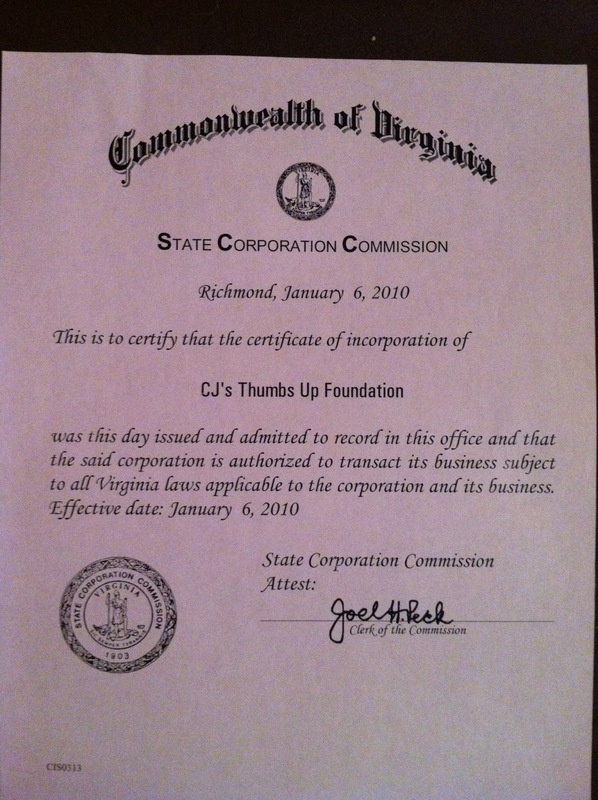 On January 6, 2010, CJ's Thumbs Up Foundation was officially incorporated, the first step in our process towards 501(c)3 status. In the three years of our existence, CJSTUF has provided assistance (financial, material, and emotional) to well over a thousand people (children with chronic and life-threatening illnesses, their caregivers, and families). We couldn't have done it without the support of our fabulous and generous Network. You have answered every call for votes, donations, and time and for that we are grateful beyond measure. We blew away all of our budget/revenue projections for the year and are extremely stable heading into 2013. More importantly, you have helped us ease the burden of many families facing the worst scenario anyone could imagine. The future is looking extremely bright for the Foundation and our pipe dream goals are seeming a bit less like pipe dreams than they did before. Please stay tuned for some great upcoming events including CJ's Thumbs Up Ball in February, TEAM CJ's participation in the Monument Ave. 10K on April 13, and CJ The DJ's Bluegrass (Mostly) Boogaloo on Sat, July 20. There will be a few surprises as well so pay attention. Thank you, also, for helping US deal with our own grief as well. Doing what we do is as much therapy for us as it is beneficial for our families. 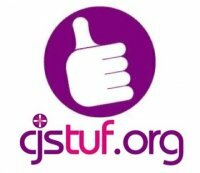 We wish you peace for the coming year but hope you will also help us partake in a little excitement for CJSTUF along the way.